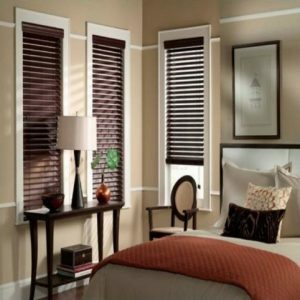 Timber window blinds are one of the most popular choices of non-window curtain treatments. Being lightweight and easy to install, they are easy to maintain, increase the property value, are naturally beautiful offering privacy and are available in wide variety of colors. North American hardwood is most appropriate for the timber blinds. It is lightweight yet quite rugged and its surface is very much suited for carvings or paintings or polishing. Pine, eucalyptus or bamboos can be other options for the purpose. The constitution of the timber blinds depends on the window’s shape and sizes. The slat of the blinds sizes customized and designed In accordance with the window sizes. Bigger window requires bigger slats to support blinds. The most popular size is around two-inches in most of the window blinds. The blinds come in an amazing range of shades and colors making it interestingly easy to match with the interiors. The timber blinds are available in painted colors where white and cream colored blinds have a great demand. An acrylic coating applied for finish has the amazing properties to check UV intrusions. Two undercoats and two top coats painted with the paints cured in UV ovens are its high points. The UV rays spoil the furniture and furnishings. 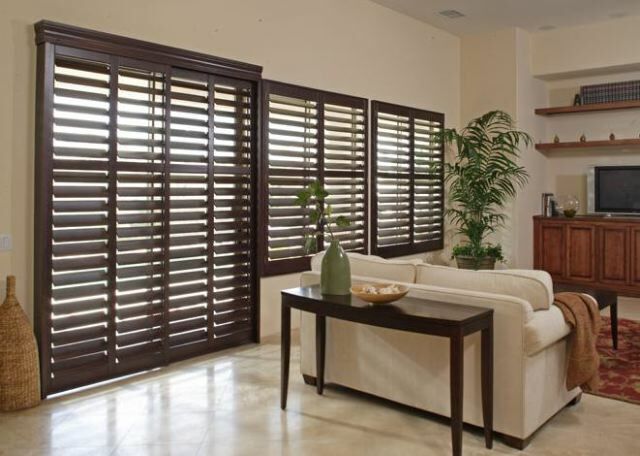 Timber blinds are similar in functioning like any other horizontal blinds. A drawstring and other options are used for opening and closing operations of slats. The seamless movement of slats makes the timber blinds extremely convenient. The room can become dark or illuminated with external lights as per the light’s requirement inside. Good timber blinds always have slots and notches in place of holes. Holes in the blinds have a disadvantage of light intruding through the gaps left when the slats are in closed position. The best option to get over this is to use smooth and seamless surfaces. Timber blinds offer the motorized option in addition to the manual or drawstring function. The mechanical functioning of timber blinds is controllable with the use of a battery powered motorized mechanism, as per on-site requirement. The raising or lowering operation of blinds is by a manual operation. Just push the bottom rail for its smooth function. This manual control is easy as sometimes cord mechanism malfunctions. However, the manufacturers mostly rely on the cord technology. The cordless technology comprises of different methods. You can open the slats by twisting the wand, allowing raising or lowering the shades evenly. The latest cordless technology is highly reliable and durable. We have a highly trained professional team, always happy to guide and help you explore all options in one place. We understand your requirement perfectly and customize it as per the on site requirements. We offer the best timber blinds in Malaysia. Contact us now for the best value timber blinds that you look for to beautify and secure your home.